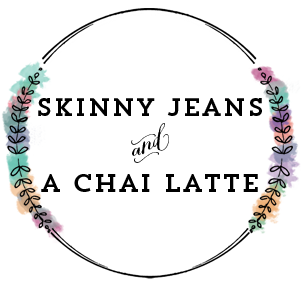 Skinny Jeans & a Chai Latte: european adventure revisited :: cinque terre, italy. 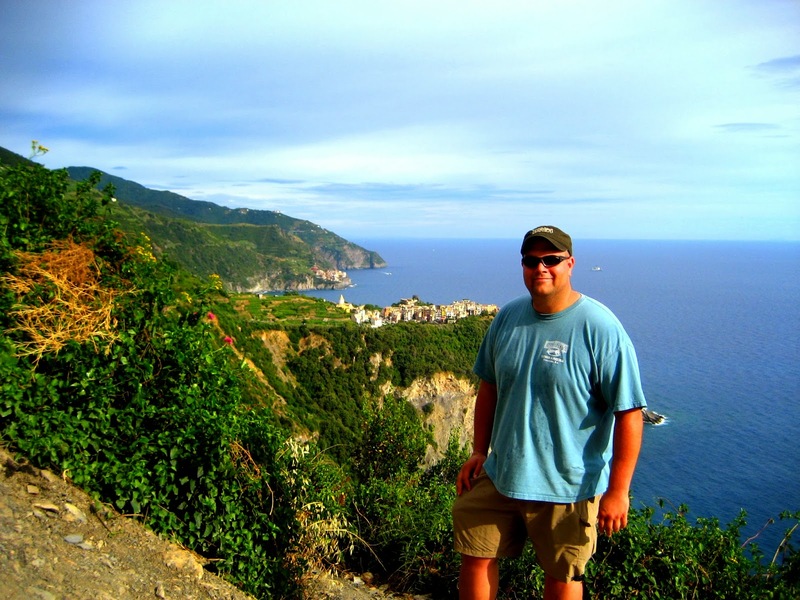 european adventure revisited :: cinque terre, italy. In honor of our upcoming Spain trip, I thought it only fitting to go back and explore the month long trip D and I took to Europe back in 2009. We started our trip in Prague then hopped over to Munich. We decided to cut our trip short in Munich since it was rainy, cold and not our favorite city. 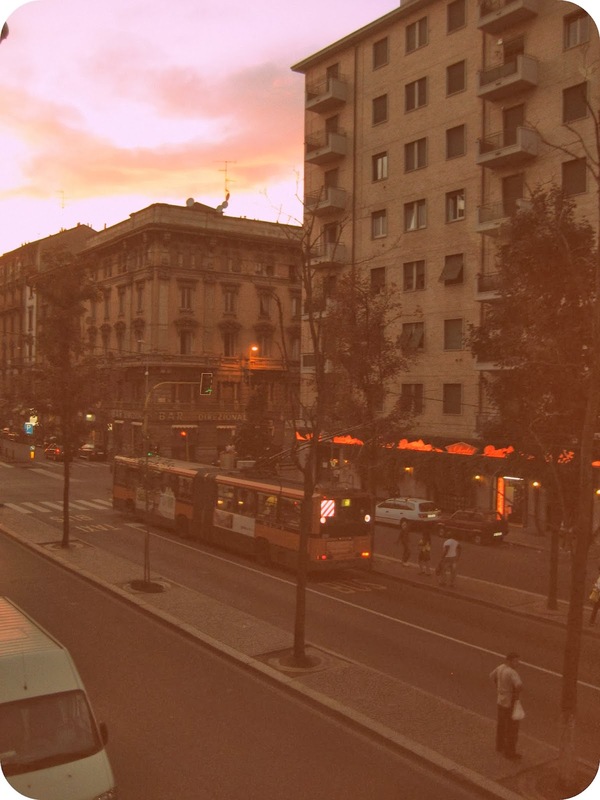 It was simple to take a train and stay in Milan for the night before heading over to Cinque Terre. 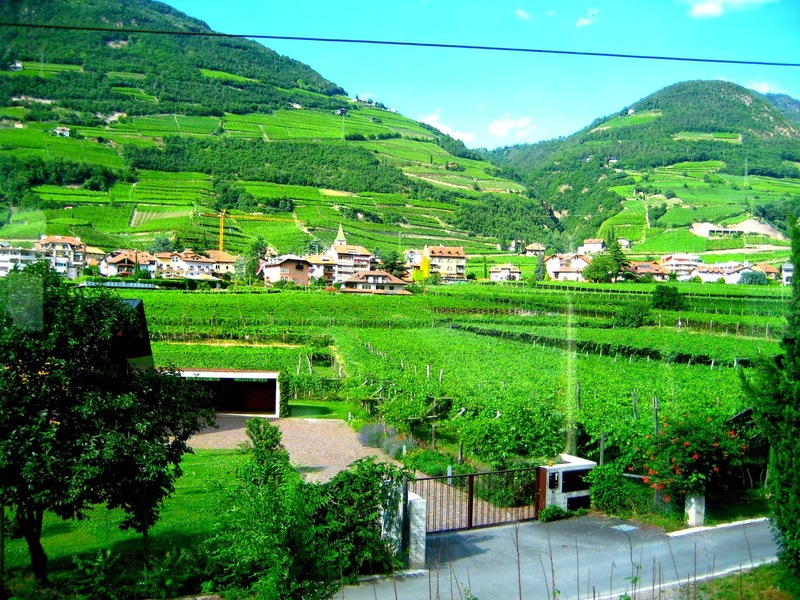 The countryside between Germany and Italy is stunning and beautiful. I can't recall how long the train ride was though. It was easy to find an inexpensive room to stay in for a night in Milan. We didn't do much beside eat dinner and sleep, so I don't have any real impression of the city. The next morning we took the train over to Cinque Terre. If you haven't heard about this stunning city, it's probably only because you haven't been researching travel to Italy. 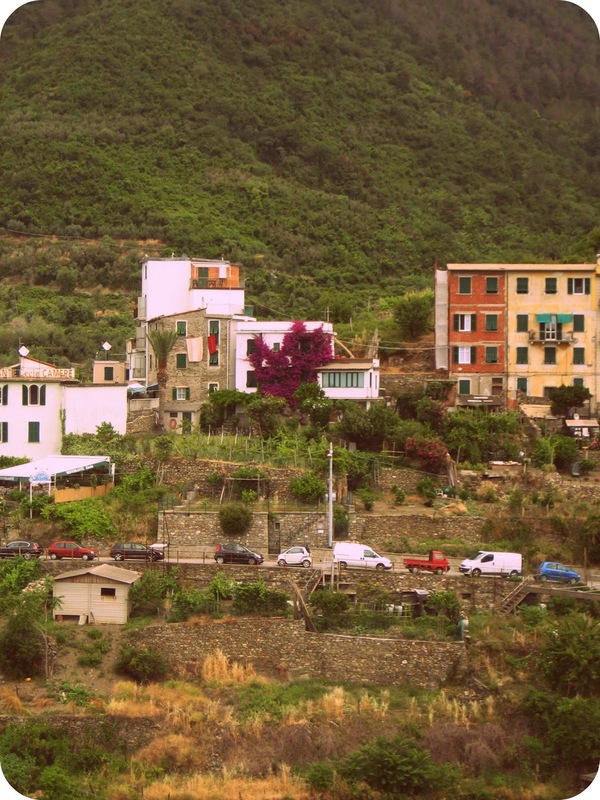 Cinque Terre has become increasingly popular within the past five years or so. 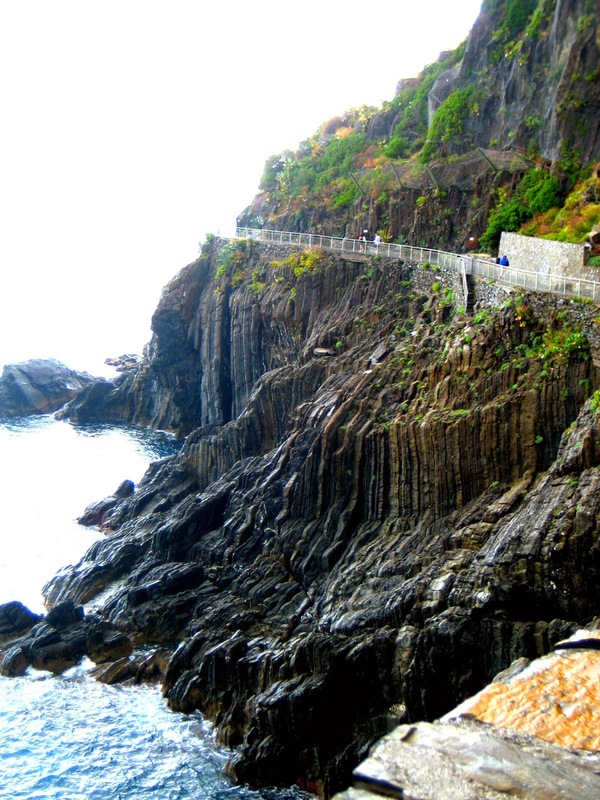 It's on the Italian coastline and made up of five territories: Montorosso, Vernazza, Cornigilia, Manarola, and Riomaggiore. This is the scene getting off the train in Montorosso, which is the only town with an actual beach and the most "touristy." This is the view from our apartment. We decided to stay in Cornigilia, which I enjoyed. It was a small, quaint town. We rented an apartment and were able to wash our clothes (in the sink!) and hang them out to dry like the locals. There was a store right around the corner where we would buy food to make our own dinner and pick up a bottle of the local wine. 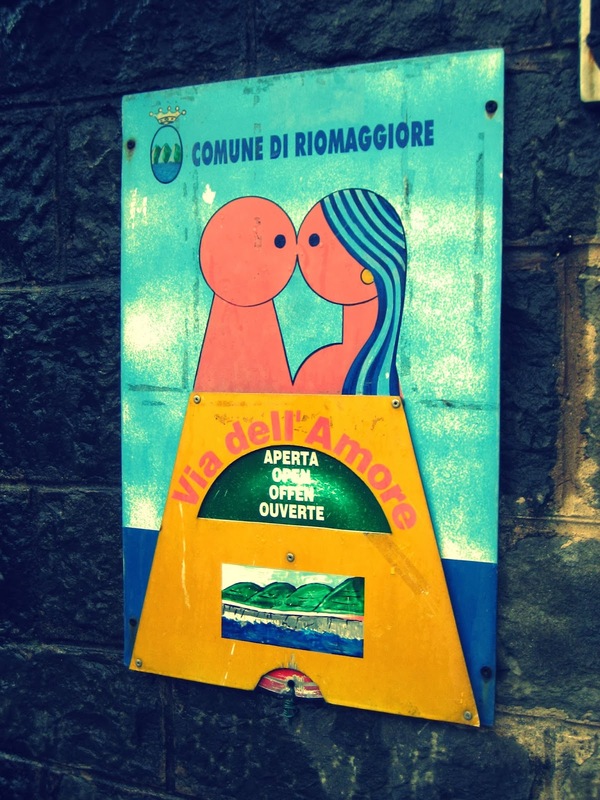 We explored Cornigilia a bit and then decided to get on the train and walk the Via dell'Amore, or the Walk of Love, which is the easiest part of the trail that connects all five territories. Little did I know that I was in for a proposal on this little journey. Maybe that assisted in my intense affinity for this beautiful city? 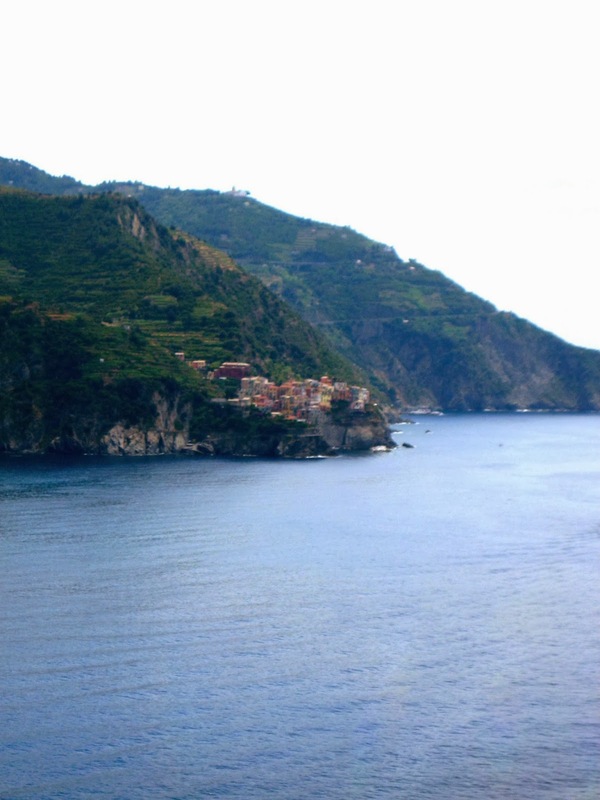 After the engagement and getting off the trail, we ate a a little seafood restaurant in Manarola and explored the town. The following day we took the train to Montorosso and enjoyed a half day lounging on the beach. There's no sand, just pebbles. The ocean is the purest of blues and beautiful; however even in June, I remember it being quite cold! 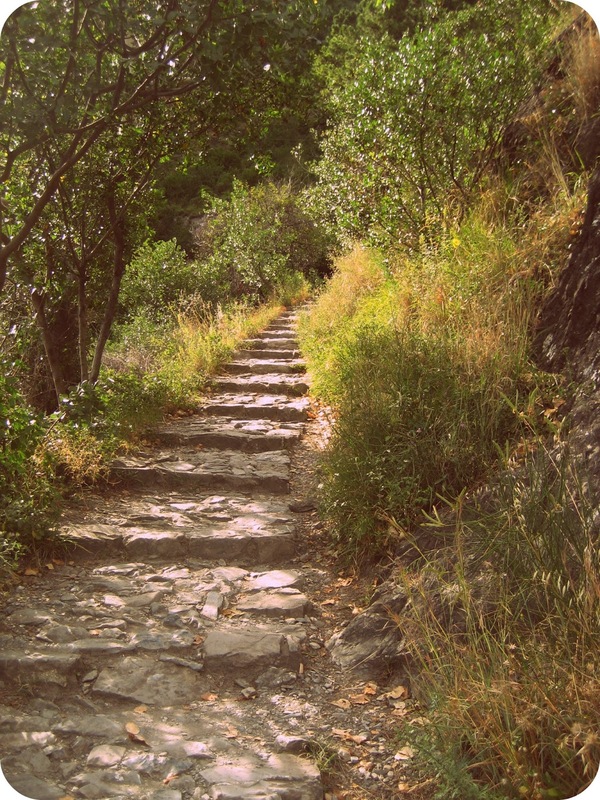 We spent the remainder of the day hiking the trail between Cornigilia and Vernazza. While the trail is pretty easy, I'm terrified of heights. I got pretty nervous at some spots where the trail is narrow and bordered by steep cliffs. 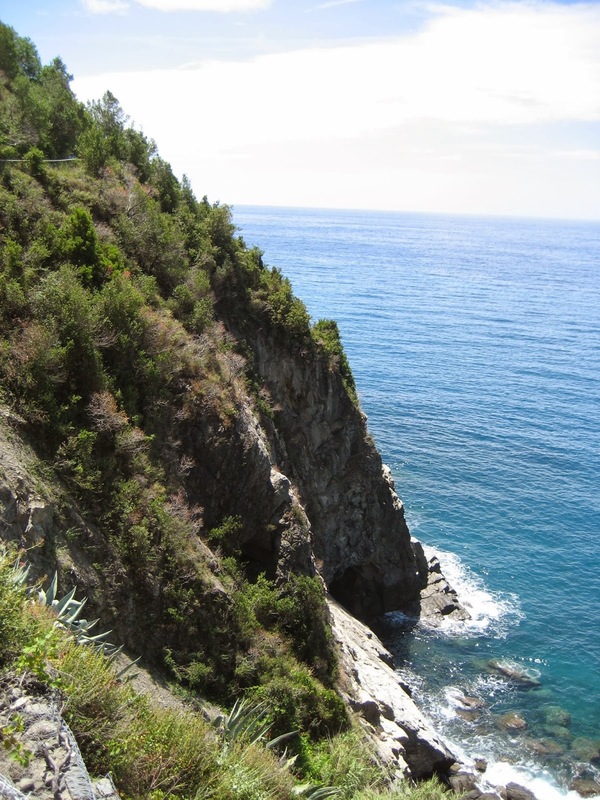 On our third and final day we explored the last of Cinque Terre that we hadn't seen. 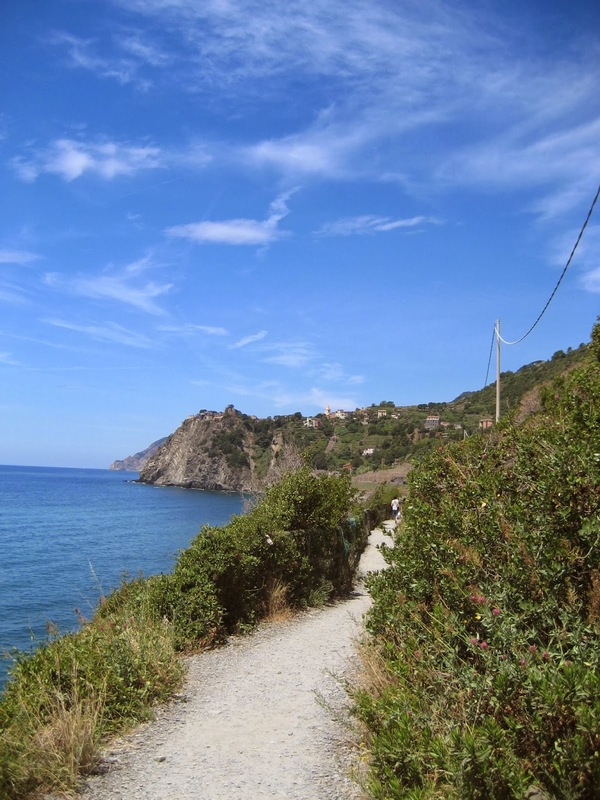 We walked between Cornigilia and Manarola. The views are amazing. We ended the night with a homemade pesto pasta dinner. 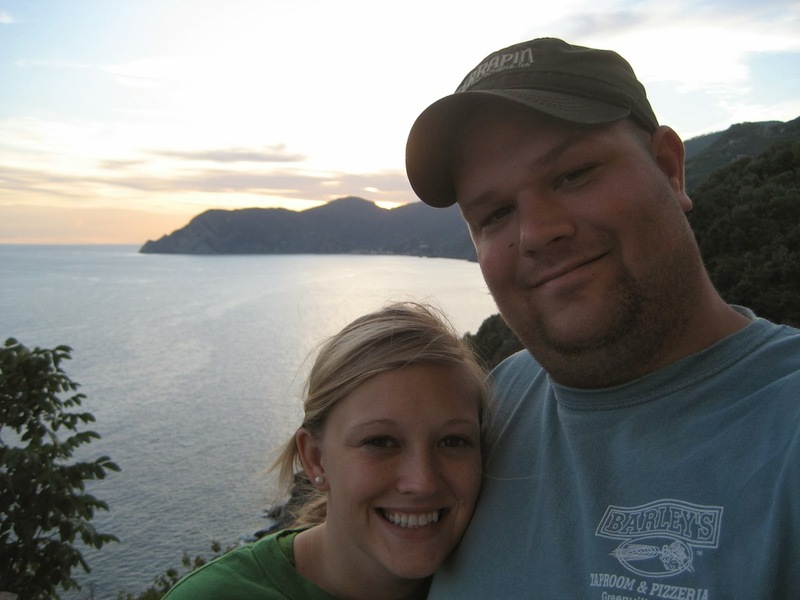 Cinque Terre was hands down mine and D's favorite city we visited on this trip. It is beautiful. 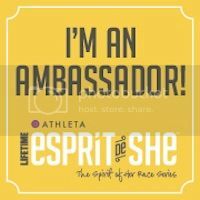 In my opinion, it's truly one of a kind. You can not find somewhere like this in America (if you have please let me know!). Over the course of ten cities in one month, D and I discovered our love lies within smaller, more quaint cities. Cinque Terre will forever hold a special place in my heart that I doubt could ever be filled by another city (maybe getting engaged there solidified that too). If you're planning a trip there, I'd recommend renting an apartment. Granted back in 2009 things were a bit different (the exchange rate was higher) and Cinque Terre was only just becoming popular. I can't say how things may have changed there since then. 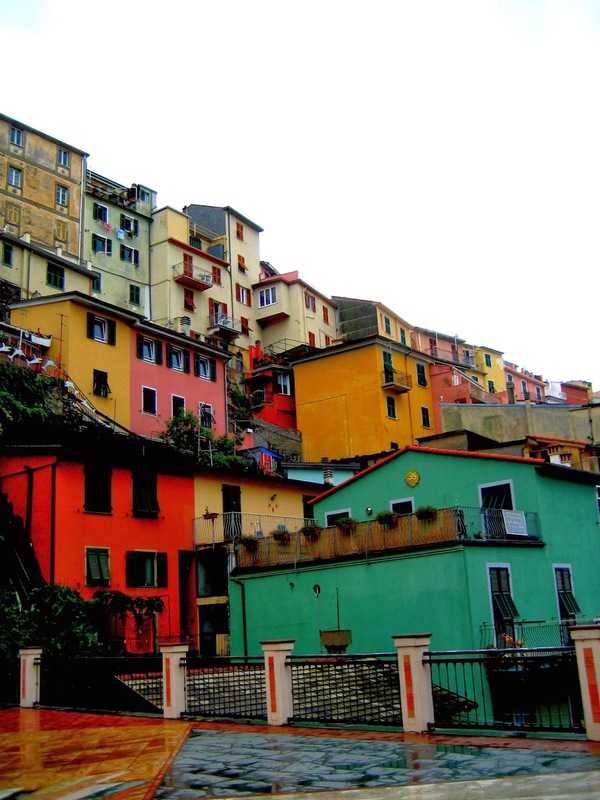 We utilized A Casa Cinque Terre to rent an apartment and had lots of success. 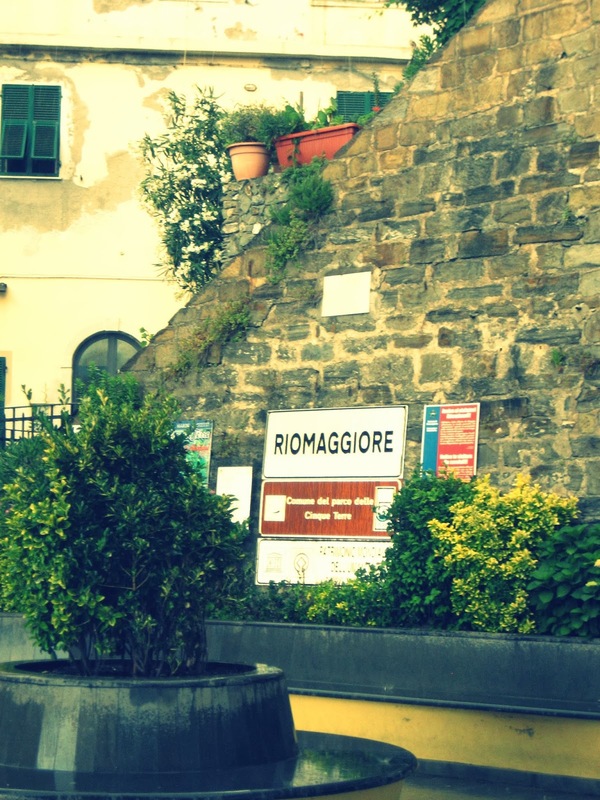 If you're renting a car to get around Italy, don't try to drive here. They only allow cars for locals. The trains between territories are quick and easy, or you could just walk the trails between (some of which are more strenuous than others). 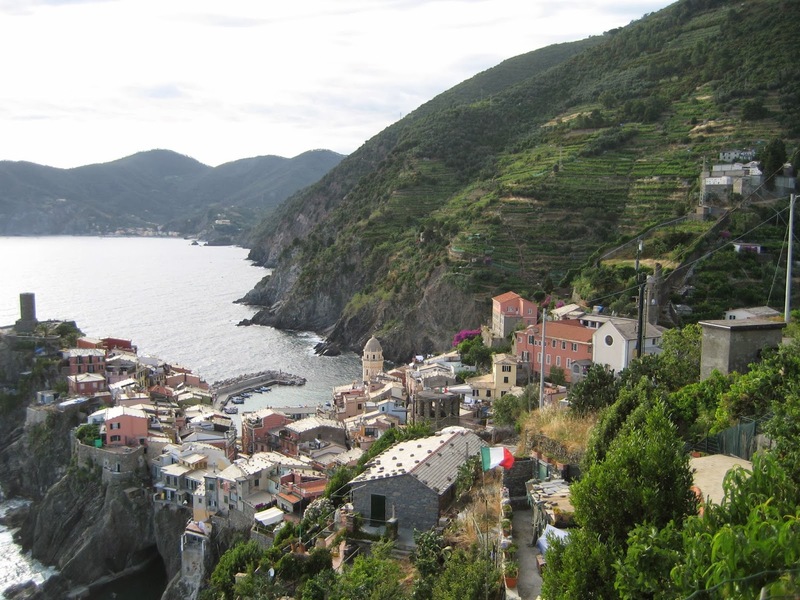 Tell me, have you been to Cinque Terre? 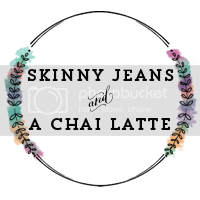 also.. new blog design?!?!? 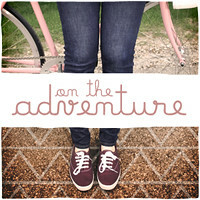 I AM LOVING! That looks like such an amazing trip! I can't wait to go to Italy someday soon! 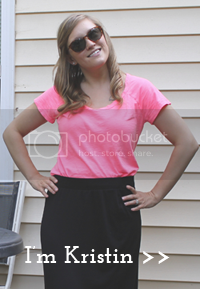 Gosh, your photos are just stunning! I was in Italy back in 2010 (Florence, Rome and Venice) and I LOVED every second! Florence was definitely my favorite, and I would return in a heartbeat! 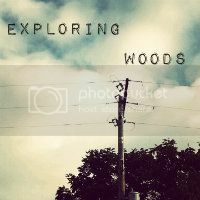 I went to Cingue Terre in June when I was studying abroad. It was amazing! We were only there for a day so we only went to 3 of the towns! I really want to go back!